Do you like eating tomatoes? How about drinking tomato juice? If you don't its about time to think about it especially if you are type 2 diabetes. 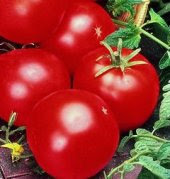 They said that tomato juice prevent blood clots. Tomato juice has a blood thinning effect in people who have the disease. That means it reduces the tendency of blood platelets to clump together and form clots that can lead to strokes, heart attacks as well as life threatening conditions such as deep vein thrombosis a common problem for people who have diabetes. You can find the whole story here. 3 Response to "The wonders of tomato juice"
You re, I guess , perhaps curious to know how one can collect a huge starting capital . and I invite you to do the same. It`s all about how to select a correct companion who uses your savings in a right way - that`s AimTrust!.